How to install ground screw? Home > News > How to install ground screw? For shorter length such as 500-700 mm Ground Screw, we can prepare Ground Screw Pile with metal bar. Only one person can finish the installation quickly. 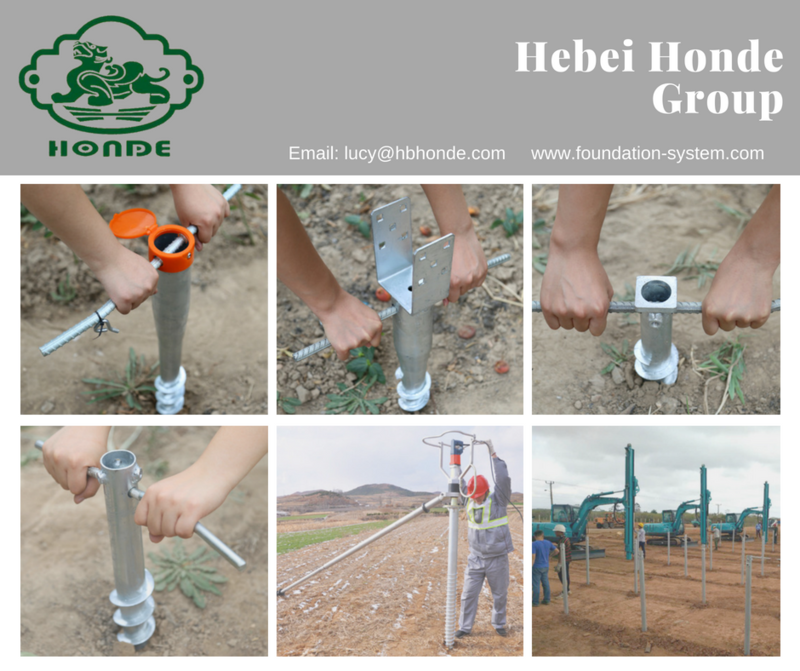 For 1000 mm or longer Helical Screw Piles, we can supply Ground Screw Machine for you. According to different piles length, we have different models for your choose. Welcome to send inquiry to get more details!